On April 16, Dr. Hadi Salehi Esfahani delivered a lecture entitled "The Role of Europe in Economic and Political Change of Southern Mediterranean Countries" as part of the EUC's Jean Monnet Module course, Europe and the Mediterranean: Transnational Spaces and Integration. You can watch his full lecture below or by clicking here. Hadi Salehi Esfahani is a Professor of Economics at the University of Illinois at Urbana-Champaign. His research interests include theoretical and empirical issues in the political economy of development; the role of country institutions in the formation and reform of fiscal, trade, and regulatory policies. 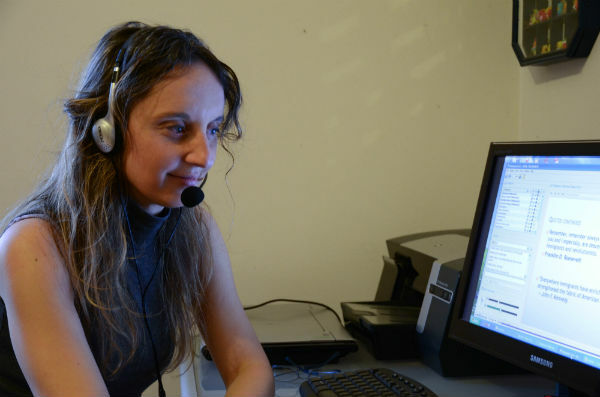 On April 18, the EUC's Sebnem Ozkan appeared with Linguistics Lecturer & Turkish Language Coordinator Ercan Balci and Professor of Anthropology Mahir Saul on Mare Nostrum, a bi-weekly radio program on WEFT 90.1 FM in Champaign. In addition to the Mediterranean music craved by Mare Nostrum listeners, they discussed Turkish TV soap operas, Turkish pop culture, and the upcoming Turkish Studies Symposium. Listen to Sebnem Ozkan, Ercan Balci, and Mahir Saul on Mare Nostrum. On April 16, Dr. Hadi Salehi Esfahani delivered a lecture entitled "Fading Attractions: Turkey's Shifting Relationship with the European Union" as part of the EUC's Jean Monnet Module course, Europe and the Mediterranean: Transnational Spaces and Integration. You can watch his full lecture below or by clicking here. 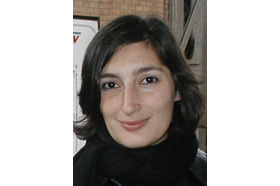 The Illinois Program for Research in the Humanities has named one of the European Union Center's affiliated faculty members, Yasemin Yildiz, Department of Germanic Languages and Literatures, as winner of this year's IPRH Prize for Research in the Humanities, for her article, "Governing European Subjects: Tolerance and Guilt in the Discourse of 'Muslim Women,'" published in Cultural Critique 77, 1 (Winter 2011): 70-101. IPRH will host a reception to honor recipients of this year's IPRH Prizes for Research in the Humanities on Wed., April 25 from 4-5:30 p.m. in the Humanities Lecture Hall of the IPRH Building at 805 West Pennsylvania Avenue. The reception is free and open to the public. A complete list of the honorees is available here. Maciej Pisarski, Deputy Chief of Mission at the Polish Embassy in Washington, DC, speaks with students during his visit to campus in December 2011. The European Union's financial crisis is the topic of one article by founding Director of the EUC Larry Neal, who provides an analysis of the European Central Bank and the European Stability Mechanism. 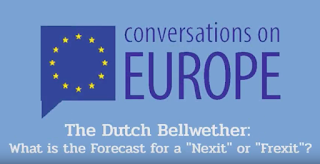 Check it out here: Can the Eurozone Last? The Transatlantic Educators Dialogue (TED) is an EUC sponsored event connecting educators in the US and the EU. The College of Education recently published an article about TED. Check out the article below or by clicking here. Bring to the scene a computer with internet, a cup of coffee (optional), and Transatlantic Educators Dialogue (TED), and voila, you have the perfect setting for some really good educational dialogue with an international flair. TED provides an opportunity for educators to connect with colleagues in other countries to share their opinions, openly discuss their views, and learn from each other. The weekly sessions are led by TED participants on a rotating basis, and discussions focus on current educational issues. In addition to what they learn during the weekly discussions, the leaders in charge of each session prepare 30-minute lesson plans based on their respective week's content and share these at the last session of the Dialogue. Lucinda Morgan, a Ph.D. student in Education Policy, Organization, and Leadership who works in the College of Education's Office of International Programs, has coordinated TED since its creation in the fall of 2009. Using Moodle asychronically throughout the week prior to the TED session, participants share articles and videos, post comments on topic-specific forums, and send messages to fellow dialoguers. Sponsored by the European Union Center (EUC) in the International Programs and Studies office on campus and co-facilitated by the College of Education, the EUC recruits the European participants for the Dialogue and Morgan recruits U.S. educators through College of Education networks. There is a brief application process to ensure a wide array of demographic representation. In addition to participants in the United States, around 20 European countries are typically represented during each TED session. The Dialogue currently underway started mid-February and meets weekly on Sundays for 90 minutes synchronously at noon U.S. CT/5 p.m. Greenwich Mean Time. It will wrap up May 6. TED received 188 applications and out of those applicants, 65 educators were accepted. From the 65 individuals accepted, two groups were formed. Upon successfully completing TED, U.S. educators receive six ISBE-approved continuing education units. Participation in the Dialogue is free of charge. Participants may be current teachers, pre-service teacher education students, school administrators, graduate students, college faculty, or involved in educational organizations. While two to three European educators apply per available TED slot, U.S. applicants don’t come forth quite as readily, according to Morgan. Consequently, more U.S. educators are encouraged to apply in the future. The next TED will be offered in the spring of 2013. Morgan said feedback about the program has been positive. "Teachers across the world face many of the same types of issues, but in different contexts. Through TED, they can discuss how different issues affect them locally, such as ESL concerns in the U.S. and varying language dialects in Europe, and it connects them globally," Morgan explained. "Not all teachers have the opportunity to talk to teachers in other countries or to teach there, so TED gives them the platform to share and compare contemporary classroom issues." Along with geographical differences, the age of participants also varies. While some educators are 25 years old, others have taught for 45 years, according to Morgan, which helps to bring a variety of perspectives to the virtual table. On April 13, Dr. Adrian Favell delivered a lecture entitled "Turkey Today: Between Europe, the Regional, and the Global" as part of the EUC's Graduate Student Conference, "The European Union in the 21st Century: Policies and Approaches to Global Challenges." You can watch his full lecture below or by clicking here. Adrian Favell is Professor of Sociology at Sciences Po, affiliated to the Centre d’études européennes. He is also Professor of European and International Studies at Aarhus University, was previously Professor of Sociology at UCLA, and has worked at the Universities of Sussex, Utrecht and Louvain-la-Neuve. He holds a PhD in Social and Political Sciences from the European University Institute, Florence (1995). 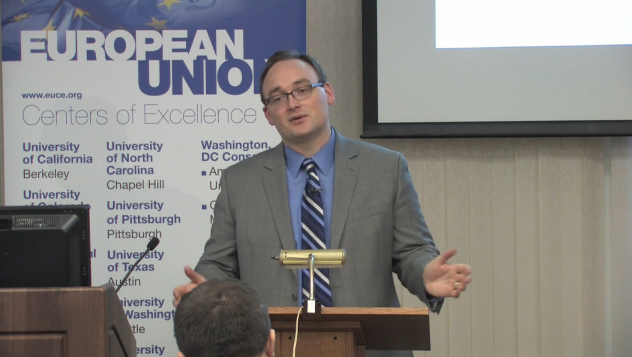 On April 13, Dr. Adrian Favell delivered a lecture entitled "European Union versus European Society: New Disciplinary Perspectives on EU Studies" as part of the EUC's Graduate Student Conference, "The European Union in the 21st Century: Policies and Approaches to Global Challenges." You can watch his full lecture below or by clicking here. As part of the Eleventh Annual EU Day events, Ambassador and Head of the Delegation of the European Union to the United States João Vale de Almeida took part in an interview with the Illinois International television interview program hosted by Nicole Tami, Associate Director for International Engagement. You can watch the full interview below or by clicking here. Ambassador Vale de Almeida presented his credentials to President Barack Obama at a White House ceremony on August 10, 2010. Prior to his appointment in Washington, he served as the Director General for External Relations at the European Commission, the European Union’s executive body. 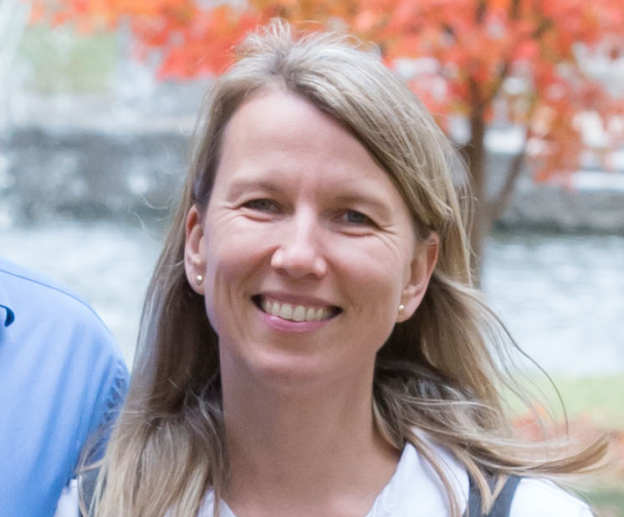 As associate director for international engagement, Dr. Tami directs the operation of daily administrative support functions within IECP, and leads the planning, coordination, and implementation of campus-wide activities, such as the Joint Area Center Studies conference and International Education Week. 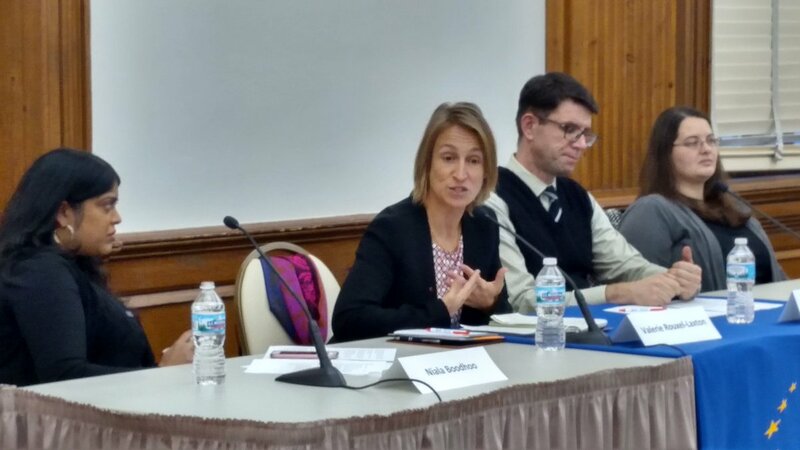 On March 29, the Program in Arms Control, Disarmament, and International Security (ACDIS), the Center for Global Studies, and the European Union Center sponsored the Fifth Annual Transatlantic Security Symposium, an Eleventh Annual EU Day-related event. View the panel discussion below or by clicking here. Adjunct Associate Political Scientist, RAND Corporation. Author of Can We Stop an Iranian Bomb? (forthcoming May 2012), an analysis of US policy options on the Iranian nuclear issue. Professor of Nuclear, Plasma, and Radiological Engineering at the University of Illinois, and is currently co-director of the College of Engineering Initiative on Energy and Sustainability Engineering. Singer has worked extensively on issues related to the cessation of production of nuclear materials for nuclear explosives programs, including related matters dealing with outer space and the future of nuclear explosives stockpiles. Associate Director, Program in Arms Control, Disarmament, and International Security (ACDIS). Prior to joining ACDIS, Dr. Gopalaswamy was a researcher at the Stockholm International Peace Research Instituteís (SIPRI)Arms Control and Non-proliferation Programme. 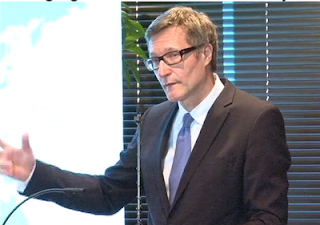 View the keynote address by Ambassador Tibor Tóth, Executive Secretary of the Preparatory Commission for the Comprehensive Nuclear-Test-Ban Treaty Organization below or by clicking here. As CTBTO Executive Secretary, Tibor Tóth manages a staff of 300 and an annual budget of USD 120 million. Ambassador Tóth has an aggregated 40 years of leadership experience in nuclear, biological, chemical and conventional arms control, non-proliferation and disarmament. On April 9, Dr. Eleni Manolaraki delivered a lecture entitled "The River Nile in Greek, Roman, and Byzantine Antiquity" as part of the EUC's Jean Monnet Module course, Europe and the Mediterranean: Transnational Spaces and Integration. You can watch her full lecture below or by clicking here. Eleni Manolaraki is an Assistant Professor of Classics at the University of South Florida. Dr. Manolaraki's fields of specialization are Roman historiography, epic, oratory, and natural history. On March 29, University of Illinois at Urbana-Champaign Chancellor Phyllis Wise introduced EU Ambassador to the United States, João Vale de Almeida as part of the Eleventh Annual EU Day. Read Chancellor Wise's blog post about the event and the University's international role below or on the Chancellor's Blog. In late March I had the dual honor of speaking at the eleventh annual European Union Day and introducing the keynote speaker, EU Ambassador to the United States, João Vale de Almeida. This great event was the result of the wonderful efforts of our European Union Center, led by Director Bryan Endres, Associate Director Matt Rosenstein, and supported by Interim Associate Provost for International Affairs and Interim Director of International Programs and Studies, Wolfgang Schlör. As Dr. Schlör pointed out in his remarks, our EU Center was recently named a “European Union Center for Excellence” by the European Commission. Our Center is one of over a dozen international studies centers and programs at Illinois, and one of six federally funded Title VI and National Resource Centers in international and area studies on our campus—each one of them focusing on a different world region or issue. This number—six Title VI Centers—places us among the top three or four universities in the country. Because of this effort and so many others on campus, it is not a trivial statement when I say that the University of Illinois is a global university. Approximately 700 faculty members are affiliated with one or more of the international and area studies centers on campus. This campus maintains 263 active institutional linkages with international partners representing 57 different countries around the world. These agreements range from student exchanges—some now entering their fourth decade of activity—to faculty exchange and collaborative research agreements with national research agencies, to innovative joint educational programs leading to dual or multi-institutional degrees. We have the largest number of international students at any public university in the United States. There were 8,126 international students enrolled at Illinois in the fall of 2010 from more than 120 nations. A total of 26.4 percent of undergraduate students graduating in 2010/11 had a study abroad experience during their time at Illinois. With such a strong commitment to international initiatives both at the campus level and within individual colleges, internationalization is embedded in all aspects of the academic life on campus. We are indeed a global brand. The success of our international alumni. We offer an internationally diverse learning environment that prepares our students to be full and productive participants in the global economy whether through internships, externships, or our growing Study Abroad Program that has 13 study abroad field sites around the world. Our students not only have opportunities to learn about other parts of the world, we offer them opportunities to travel to those nations and experience them firsthand, too. We are stronger when we engage with the world and I believe that international engagements such as EU Day are exactly the kind of activities we should be doing to stay relevant in the ever-changing, organic world in which we live and work. On March 29, His Excellency João Vale de Almeida, Ambassador and Head of the European Union Delegation to the United States, delivered the annual State of the European Union address as part of the Eleventh Annual EU Day, sponsored by the European Union Center. You can watch his full address below or by clicking here. Ambassador Vale de Almeida presented his credentials to President Barack Obama at a White House ceremony on August 10, 2010. Prior to his appointment in Washington, he served as the Director General for External Relations at the European Commission, the European Union’s executive body. As the most senior official under the authority of the High Representative/European Commission Vice-President Baroness Ashton, he helped formulate and execute the EU's foreign policy and played a key role in preparing for the new European External Action Service (EEAS) introduced by the Treaty of Lisbon. 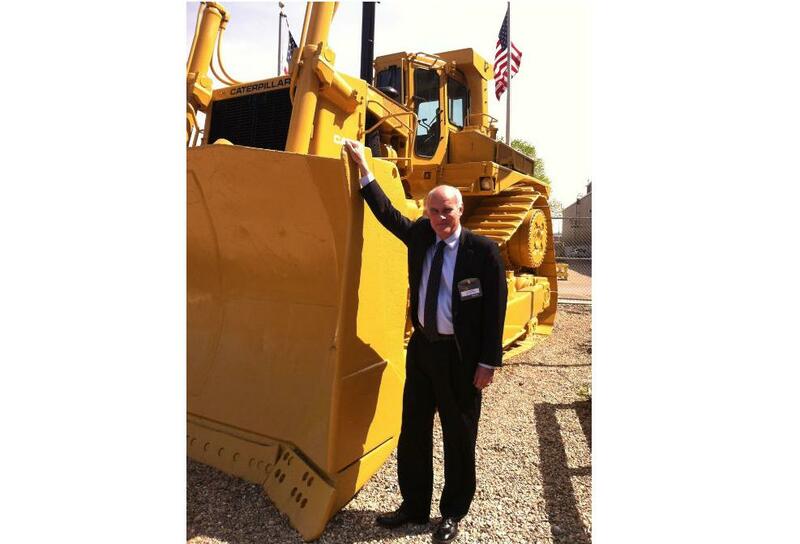 Ambassador João Vale de Almeida at Caterpillar in Peoria, IL. 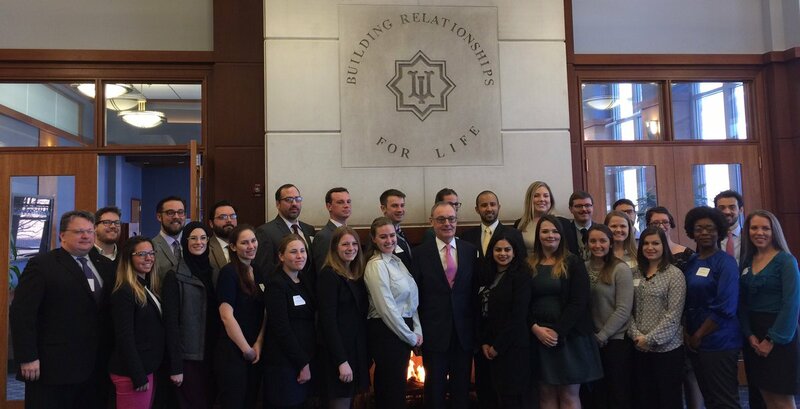 On March 29, the European Union Center hosted João Vale de Almeida, Ambassador and Head of the European Union Delegation to the United States as part of the Eleventh Annual EU Day. In addition, the EUC co-sponsored the Peoria Area World Affairs Council's 42nd Annual Central Illinois World Affairs Conference: The European Union and Germany: Challenges for Today, Promises for Tomorrow, which the Ambassador attended. 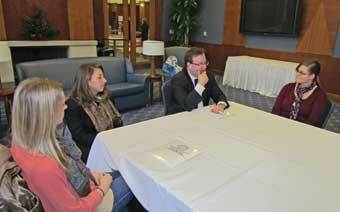 The following article from the Peoria Journal-Star discusses the Ambassador's remarks, made at the PAWAC conference. Check out the article below or on the PJStar website. PEORIA — Despite the glut of bad news that has dominated the headlines recently with debt, recession and high unemployment, the European Union is prepared to do business with the state of Illinois, said Joao Vale De Almeida, ambassador and head of the European Union delegation to the United States. "I believe we are on the right track," De Almeida said. "Europe is doing its homework and is preparing to come out of this (economic) crisis stronger and fitter and prepared to do business." De Almeida made his comments last weekend during a conference on the European Union and Germany presented by the Peoria Area World Affairs Council . In an interview before his address, De Almeida said the EU remains a very important partner for Illinois and the United States and both "have a lot in common in terms of values, democracy, a common history with our population (migrating to the U.S.). In times of the kinds of trouble we are living through, we face new challenges and the best friends need to get even more united." He emphasized that Europe is "dealing with its problems and moving forward." 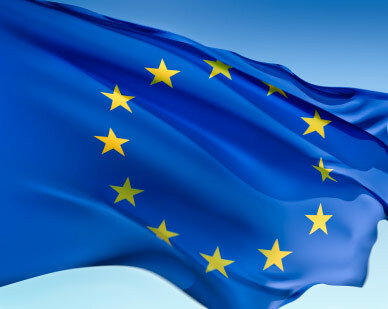 The concept of the European Union originated in 1957. Despite the history of the 27 member countries, the group is still relatively young, said De Almeida. The journey toward a common passport, and for 17 of its nations, a common currency, has been long and difficult, the ambassador said. Yet this unique experiment has been successful with its member countries living in peace, security and environmental protections, "which explains why so many countries want to join." At the same time, when the economic crisis spread to Europe, de Almeida said, "We realized we did not have the instruments required to deal with these problems." The last two years have been marked by sacrifice by many of the countries in order to put the market's "financial system in order." Even his native Portugal has instituted austere measures which will be felt by every family in the country. "There is no alternative. We need to do so in a way that is not harmful to growth," De Almeida said. He also addressed the role of Europe's largest economy, Germany, that has borne most of the burden of bailing out the failing economies of Greece, the Irish Republic and Portugal. "Germany is a founding member of the EU and also a very important member," De Almeida said. "But it also benefits from it. Most of German exports go out to the EU countries. It is also important for Germany to have tranquility and stability at its borders and the EU provides it. If Germany were to rely only on its internal market, it would not be as successful today." De Almeida said he was in Belgium when Gov. Pat Quinn visited last month to promote Illinois trade, tourism and business opportunities. "A momentum has been created now to increase and reinforce our trade and investment relationship," De Almeida said. "There are opportunities for us to create more jobs and more trade on both sides. Illinois was the first U.S. state to establish a foreign office in 1968.